Do you want to engage your older students with music that they already know something about? 21 Lessons in 20th Century Music Appreciation begins with the marches of Sousa and ends with movie scores of the last few decades, showing a breadth and flow of music history that will resonate with teens as well as children. In each lesson, music educator Gena Mayo outlines either a composer’s life and influence, or a style of music. The backbone of this curriculum, however, is the music itself in the form of links to YouTube videos. Older students can use the course information and extra research to fill in the composer notebook pages, and Gena recommends coloring pages (not included) for younger children. There are also listening notebooking pages to help the students think about each music selection. The curriculum begins with Sousa’s marches and ends with ‘Does She Know?’ from Enchanted, covering topics such as Elvis Presley, jazz, and Leonard Bernstein in between. As you can imagine, there are a lot of YouTube clips of events and movies that were considered ungodly in the past, and Gena does wisely suggest that parents preview them. That does not take away from the fact, though, that the subject matter does not promote godly values, ideas, or lifestyles. On the other hand, for anyone who listens to modern music and watches movies or TV, there is nothing new here. Whether that is a good or a bad thing is not the point right now; the point is that learning about the history of a culture one is involved in—if one is involved in it—can be valuable in many ways. Unfortunately, there is no discussion of the worldviews that led to this music because the course was written to accompany history studies where these things would have been discussed in some detail. For those of us not studying modern history right now, this is a potential problem, and I would have appreciated some specific guidance on this point from Gena. For years we have been doing Ambleside Online’s composer study, and that has worked because it is largely based on classical music, something I know a bit about. 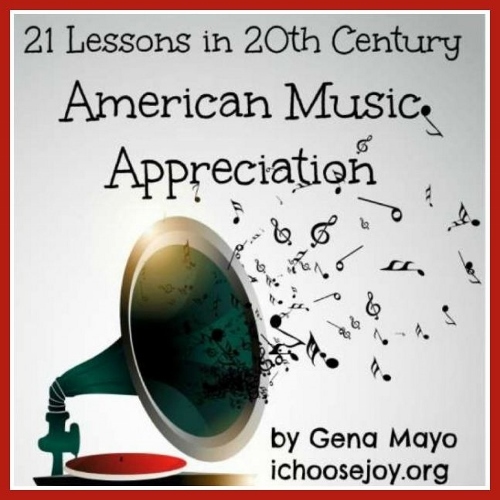 For modern music, however, I do not even know the most basic facts, and that is why we are using Gena Mayo’s 21 Lessons in 20th Century American Music. I will be thinking intensely about the worldviews involved, though, to be able to present more than just the music to my children. On a very personal note, I love older classical music, Psalms, and hymns, and can discuss them with my kids. Because of my kids and their friends, I’ve been learning more about modern popular pieces, and we occasionally listen to them together. Now, with this curriculum, I am learning more about tunes and composers that my husband and father-in-law both love, and movie scores that my children enjoy. I can’t say it’s easy, because I have always purposefully avoided all this since so much of it seems wrong. On the other hand, if my family is involved in it, then I need to at least be aware of it so that I can discuss it with them, and I’m grateful to be learning about it from Gena. And I’m glad that she is planning to write Lessons in 20th Century Popular Music Appreciation, because the music my kids listen to is not covered in this course even though its background is. So, how have we been using 21 Lessons in 20th Century American Music? What we do is simply sit at the computer together, read Gena’s outline, and then click on the YouTube links, leading to effortless learning. We will be doing some of the notebooking pages as well. Although high school students can use the notebooking pages and some supplementary work to expand this K-12 curriculum to a ½ credit high school course, we will just use it as a section of a music history and appreciation course. Would 21 Lessons in 20th Century American Music work for your family? It depends. If you carefully avoid modern culture you will not be interested in this, and the music itself as well as the video clips may be offensive to you. If you or your children are interested in today’s music and movie culture, this will probably be a good curriculum for many reasons. Ideally you would also be learning about modern worldviews to be better able to understand this music and its sources. You can download a sample of this curriculum here or buy it here. If you buy it before September, you can get 50% off using the coupon code August50. For more encouragement about homeschooling and child-raising, visit Raising Homemakers, Tell it to Me Tuesdays, Titus 2 Tuesday, R&R Wednesdays, Finishing Strong, and Trivium Tuesdays. Disclosure: I received a free review ecopy of this curriculum and have shared my honest opinions. 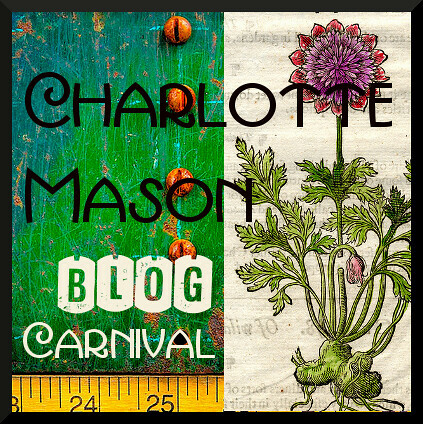 As always on Tea Time with Annie Kate, there are no affiliate links. 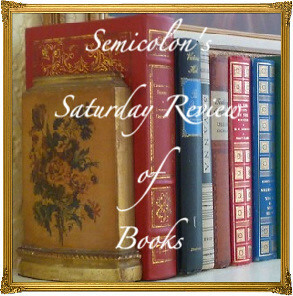 Posted in: Reviews, Reviews: Curriculum, Reviews: Nonfiction. Thank you, Annie Kate, for such an in-depth review. I appreciate your worldview discussion. That will certainly be valuable for some people is they make a decision on whether to use it or not. You’re welcome, Gena. Do you have any recommendations for worldview studies relating to music? That is really interesting. I’m trying to think through and put together something for my younger children, aged 8 and 6, about music that isn’t just classical. We do avoid most modern music because of the world view issues but trying to articulate this for younger children and also work out what other music they should know about is proving challenging. Yes, that is super-challenging. I didn’t even bother to try with younger children. Do let me know if you manage to put something together!